I received my latest Galls catalog today in the mail inside of a clear USPS bag. Here is the label from the bag. I was already pissed at USPS this week because they managed to not follow simple instructions (scan a SCAN form to expedite tracking), and in the past few months, general mail delivery has been very slow. 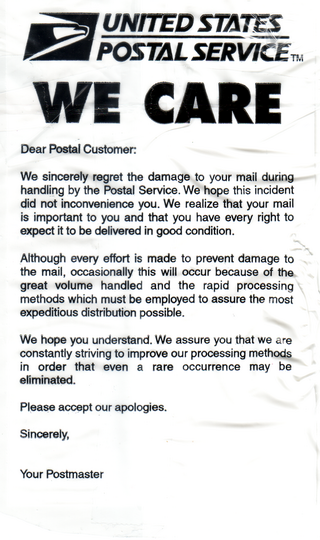 Just another reason we should kill off USPS and let a real private corporation that can be held accountable take over. July 18, 2007 CurtisComments are off for this post. Call or e-mail me sometime. I’ve been wanting to ask you a few questions about web hosting.